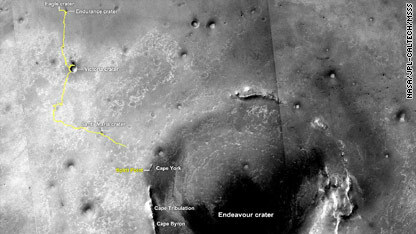 NASA's rover on Mars, Opportunity, is closing in on Endeavour crater. It has taken the rover nearly three years to travel 11 miles across the Martian terrain. And you thought your grandpa drove slowly. Opportunity will enter the crater at a spot named Spirit Point in honor of the rover's late partner. Spirit fell silent in March 2010, and its mission was terminated after one final attempt to communicate with it last month. Both rovers completed their prime, three-month missions on Mars in April 2004, NASA said, but kept going (and going and going) with years of bonus work. Scholars have completed a dictionary after 90 years of work. 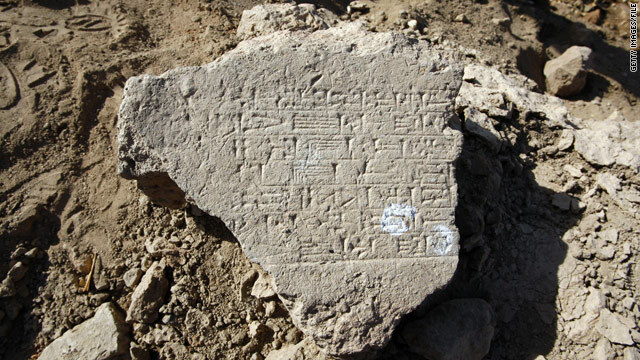 Considering the language they were working on is 4,500 years old, they made pretty good time. The University of Chicago's Oriental Institute this week announced completion of the Chicago Assyrian Dictionary, a work begun by institute founder James Henry Breasted in 1921. The 21-volume, 9,700-page opus identifies, explains and provides citations for the words written in cuneiform on clay tablets and carved in stone by Babylonians, Assyrians and others in Mesopotamia between 2500 B.C. and A.D. 100. The first 20 volumes were published as they were completed, but now the work is complete. 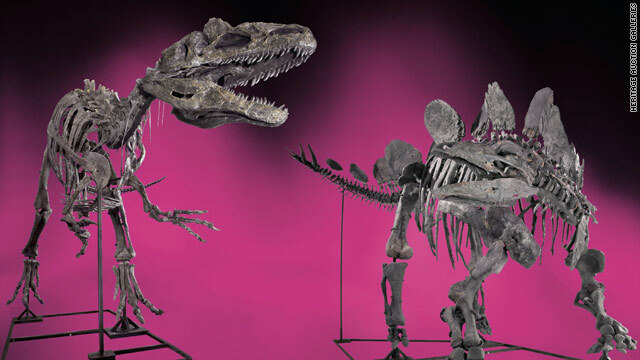 How about some fighting dinosaurs for $2.8 million? If you've got a heap of extra cash waiting to be spent on something that will make your friends jealous, you might consider heading to Dallas on Sunday. Heritage Auctions is offering four dinosaurs, including a "fighting pair" made up of an allosaurus and a stegosaurus, as well as 9-foot-tall shark jaws and more than 200 other curiosities of natural history. And while they may make excellent conversation pieces in an oversized living room, museums would hope that you'd donate them so that more people can see them and scientists can study them further. FULL STORY from CNN's This Just In.